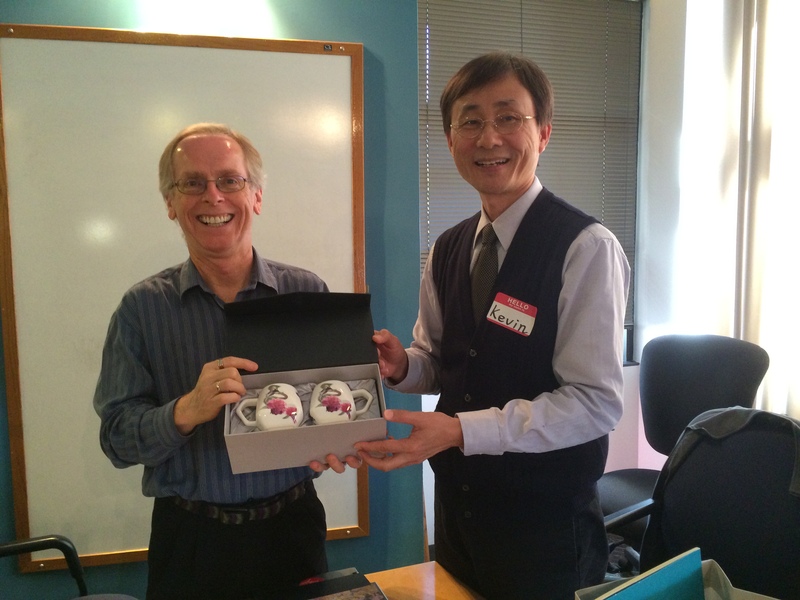 A delegation of 7 colleagues from Taipei, Taiwan visited San Diego March 9-13. They were led by Jin Jong Chen from National Yang-Ming University and Kevin Chen from the Taipei Department of Health. The whole group attended the Active Living Research Conference and presented on their research and practice work. The Taipei group spent the morning of March 13 at the IPEN Coordinating Center offices, with another special guest, Ester Cerin of Deakin University in Melbourne, Australia. The meeting was attended by Kelli Cain, Carrie Geremia, Alex Mignano, and myself. Larry Frank joined by phone from Vancouver. We learned that Taipei will be the World Design Capital (WDC) in 2016. Their winning application had the themes of ageing-friendly and healthy design for the city. WDC represents a collaboration of multiple city departments, including Health, Planning, and Parks, so there is clear relevance for active living. The Department of Health is sponsoring an IPEN study of older adults, and we discussed the progress of this study and possible next steps. The IPEN Senior protocol is being followed, using the NEWS and street audit tool adapted for Chinese Seniors by Ester Cerin as part of her studies in Hong Kong. This group may have the opportunity to evaluate the impact of intervention demonstration areas, and we discussed possible evaluation designs. Two of the delegation were experts in computer science and information technology. Thus, they are able to design multi-level interventions that span the range from environmental changes to educational apps. On the afternoon of the March 13, the delegation met with Kevin Patrick, Jacqueline Kerr, and Nadir Weibel to discuss the integration of technology into several types of health interventions. We appreciate that both Drs Chen are using IPEN as an important element of plans for designing a healthy city that can be a model for the world. Taipei is already a mostly activity-friendly city, so it will fascinating to learn about the enhancements they will make. I commend the Taipei group on the close collaboration between University-based researchers in several disciplines and the Department of Health. The use of research in this design effort is innovative, and we will keep IPEN members informed about this project. By drjamessallis in Uncategorized on April 8, 2014 .